New WWB event has begun in the WPAC. We've now seen consecutive WWB's since late December. This backs the argument that the atmosphere is Nino coupled (succession of WWB's since late December) and for El Nino to continue into the summer/fall. Even though there looks to be above average trade activity over the CPAC, these WPAC WWB's usually spread over and slow the trades down. And looking at the past couple of Euro runs, there's a large area of -VP200 anomalies that will move across the CPAC in 5-7 days. So it's very possible we see this WWB carry over into the CPAC and go on through the beginning of April. This event is currently confined over the WPAC so it will help warm the subsurface beneath the WPAC and maybe trigger another downwelling Kelvin wave, thus keeping the assembly line of warm anomalies moving to the EPAC going. This currently does not look at all like a typical transition out of El Nino in early Spring. This is akin to your second year Nino events and onstart of new El Ninos. 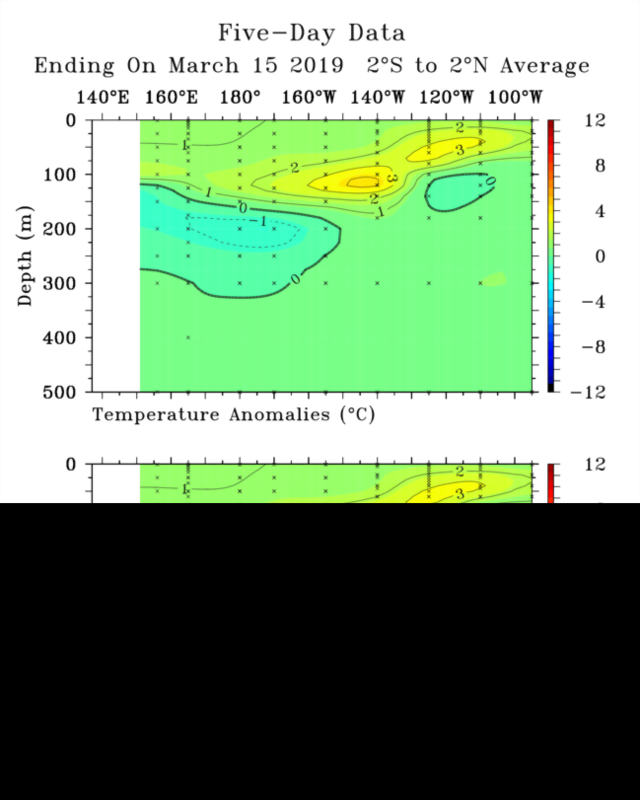 Your typical El Nino by March has eroded the subsurface with only surface warmth and many times you are already in the process of sloping further the thermocline (Nina building process). Spring barrier this year has relatively low spread compared to usual. Nearly all models (that's worth anything) are in pretty good agreement the Nino persists through Summer at the very least. Ugh Big Joe. A real scientist would never make this statement "Such events are natural with no linkage to man". That's even more absurd than stating that there is a definitive linkage between the frequency of El Ninos and climate change. Both statements make extraordinary claims and as such require extraordinary evidence. Due to a significant warming trend in the Niño-3.4 region since 1950, El Niño and La Niña episodes that are defined by a single fixed 30-year base period (e.g. 1971-2000) are increasingly incorporating longer-term trends that do not reflect interannual ENSO variability. In order to remove this warming trend, CPC is adopting a new strategy to update the base period. 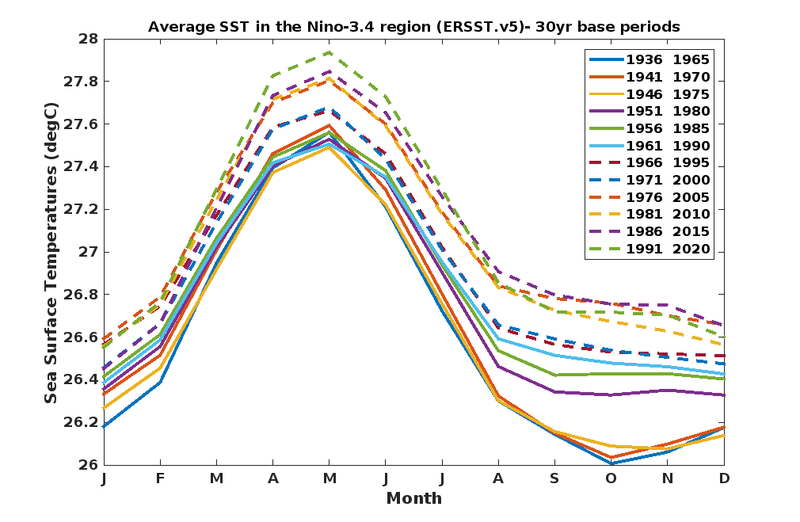 Even with this 30-year averaging increase we've had three super El Ninos in the last 37 years! As mentioned among other reasons the data set is not long enough to establish a definitive connection, but only a fool (or an intentional climate deceiver) would say that there is no connection. 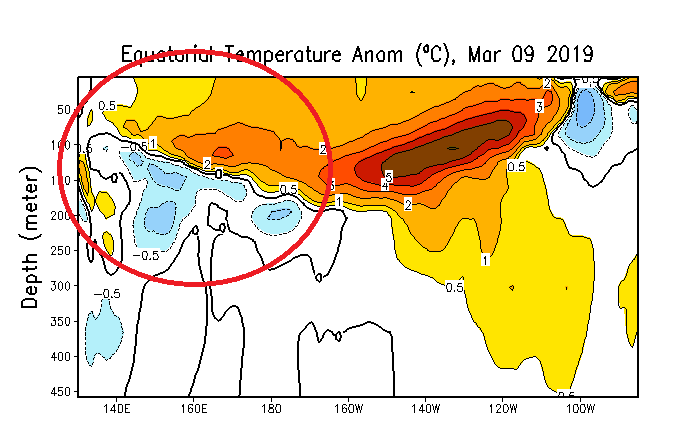 Large area of +6C anomalies beneath the EPAC on the latest PENTAD/GODAS analysis. Almost as if the easterlies didnt do a thing. Subsurface surely has some 2014/2015 look to it now. 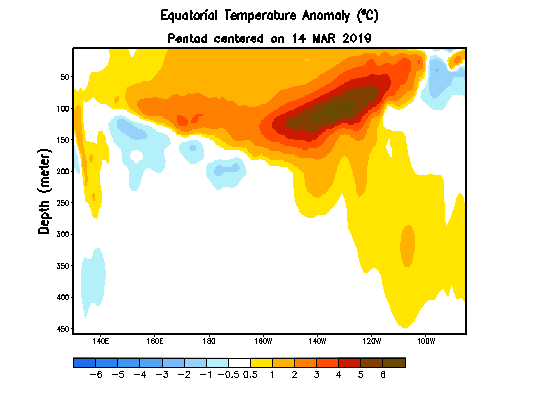 CPC weekly update of 3/18/19 has Niño 3.4 remaining at +1.0C. Looks like the SOI will be fluctuating quite a bit due to twin cyclones near Darwin. Pretty nice twitter thread in regards to the MJO, why the RMM is showing the MJO dead when it's not, and when will the MJO get into the pacific. Seems like everyone is just waiting for the -VP200 anomalies to hit the Pacific and trigger a WWB to sign off on this El Nino for summer 2019. I think the graphic will adjust soon. 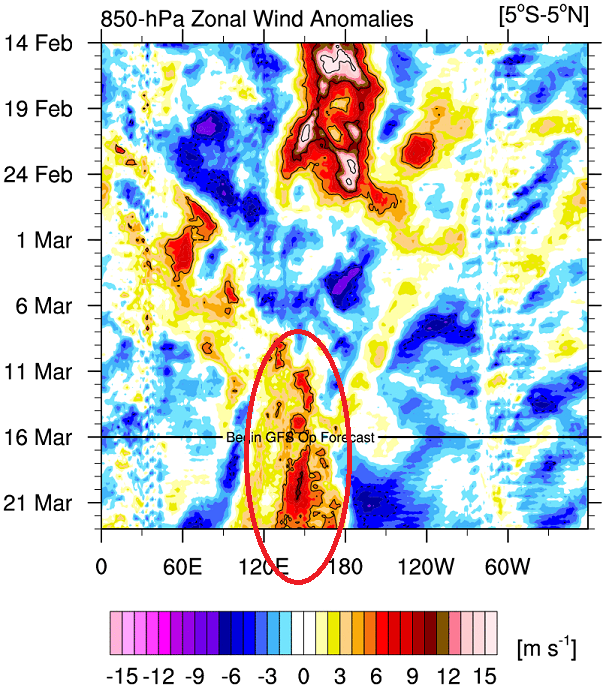 Because like Carl said in his tweet, the models have the MJO in the circle while in reality it's entering the WPAC. So that will effect their 850mb zonal wind forecasts. Tropical Pacific sea surface temperatures have touched on El Niño thresholds for the past three weeks, while waters below the surface are also slightly warmer than average. 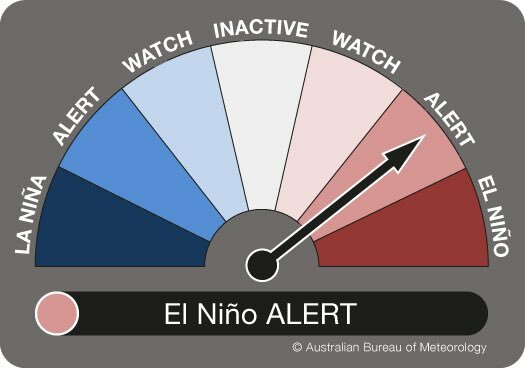 Signs of El Niño in the atmosphere are less clear. While values of the Southern Oscillation Index (SOI) are currently within El Niño bounds, the index is likely to weaken in the coming days. Large swings in the SOI are not uncommon during the southern hemisphere monsoon season. 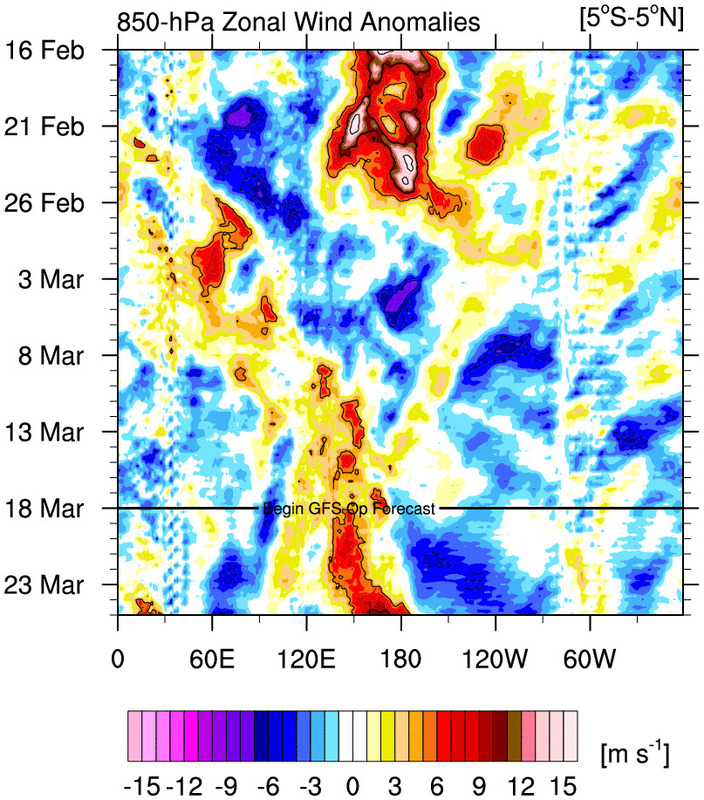 Additionally, trade winds have been closer to normal over the past fortnight after a period of weakened trades in the western tropical Pacific. Anyone know why the buoys are running much cooler than the subsurface analysis that the CPC uses? Different datasets? I know it's normal for their to be some differences, but I have never seen the two be different to this degree. Do the same anomaly values apply for each? chaser1 wrote: :uarrow: Do the same anomaly values apply for each? The buoys are usually cooler by +1C. 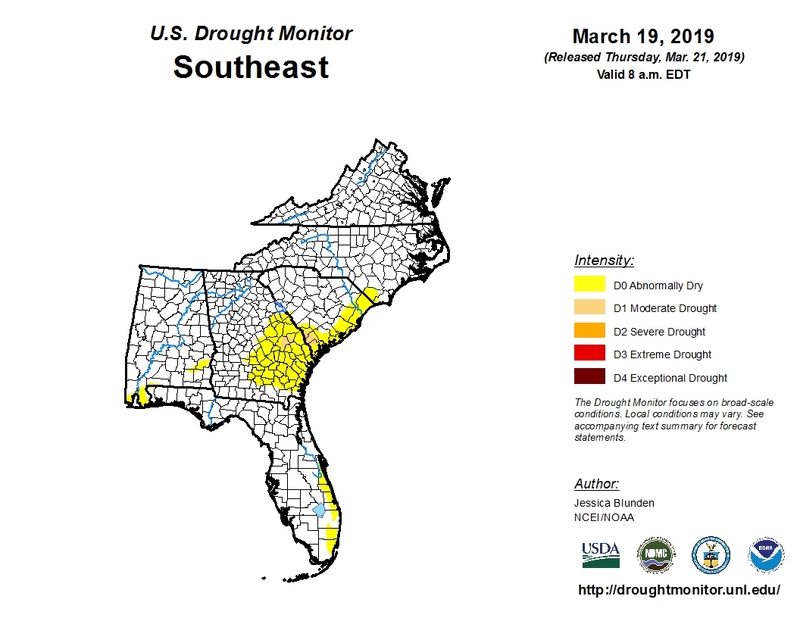 We're Not feeling the effects yet of this El Nino in the Southeast US. 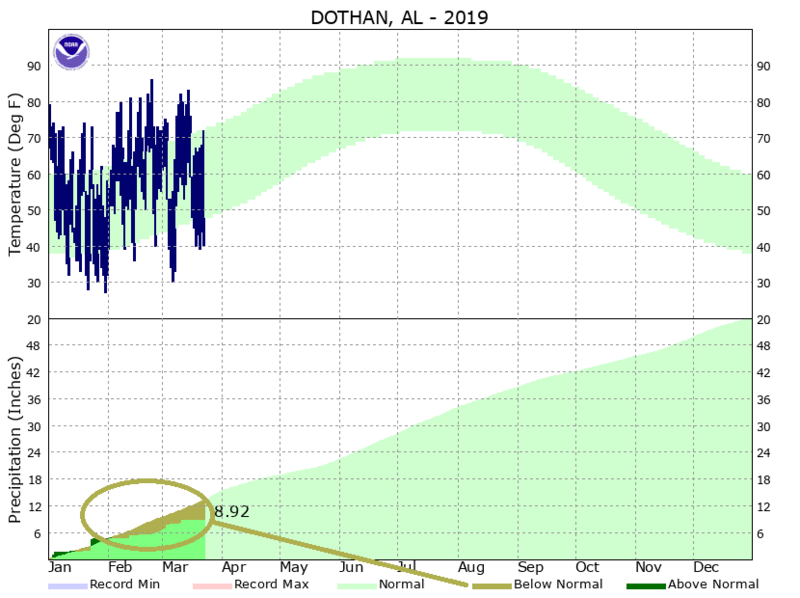 We'd normally have flooding rains and this was forecast in hydrologic outlooks but tonights local news actually said we need some rain around here. 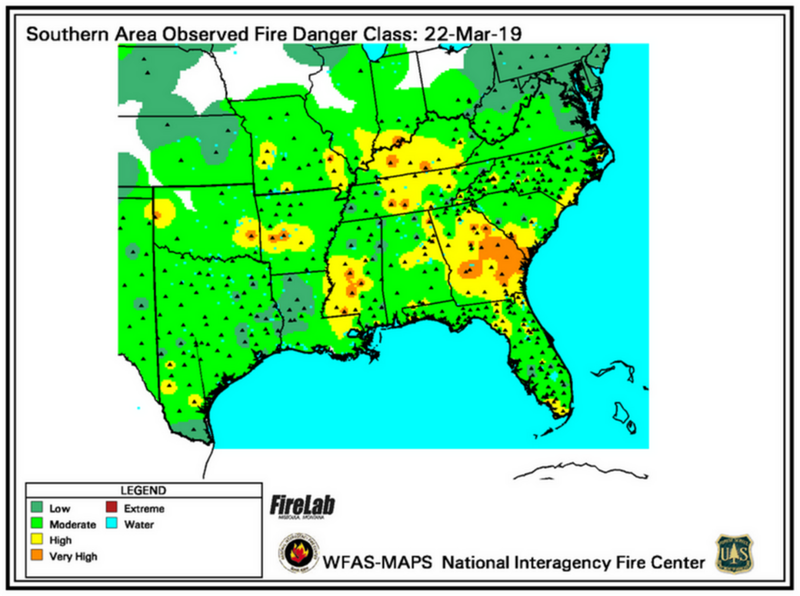 Areas farther East (Charleston/Savannah) have actually been below normal all year. I'm hoping El Nino shuts this Hurricane season down!! !